I remember when I started playing drums. I played every day for hours. It took me six months to be able to play with all four limbs at once. And that was when I was 14, so I was still in the unlimited energy/spongy brain phase! That was just to be able to move them all and play a cohesive rhythm, basic quarter notes and half notes. Then I slowly worked on eighth notes on one hand. Then I added in eighths with the other hand. And on and on. The main thing is just to keep doing it. Slowly. If you can't play it slow, you can't truly play it fast. Play with a metronome and play whatever you're trying to learn at a tempo where you can do it consistently and correctly. Then kick it up 5 BPM. Then play it at that tempo until you can do it consistently and correctly. Etc. It's boring, and it takes time. But eventually you'll be able to do it without thinking about it. The key for me was (and still is) to get that muscle memory going. Play (even without the instrument) while you're watching TV or a movie. Do it constantly and work on an exercise in the background while you're paying attention to something else. I used to do this when I was working up double bass with my feet. Partly to get my stamina up, but mostly to just get my body comfortable with the motions. I will still take out a practice pad and work on an exercise while binging something on Netflix or Blu-ray. I just do it over and over. And eventually I get it. I think it all comes down to consistency and practice. Just doing it. Get a practice plan together and then execute it consistently, every day, for at least 15-30 minutes. If you have bad days, don't worry about it. Just keep going. And you'll get there. I recently just bought a full set of low volume cymbals and mesh heads for one of my drum kits. I set them up in the basement and I was able to practice on real drums for the first time in a lot of years. Maybe since college, even. And I decided I wanted to learn Rosanna by Toto. I've been trying to play that song since I started, almost 30 years ago. I couldn't do it. Not properly, anyway. So I started slow. At first with just my hands. Then I added in my foot. It was a disaster. So I took out one hand and tried it with my right hand and right foot. Then I did it with just my hands again. Then just my right hand and right foot again. Then I slowed it way down and put it all together. Once I had the motions down and I knew where all the notes needed to land, I just needed to get my limbs to play what they already knew, but all together. So once I could do it slow, consistently, I kicked it up 10 BPM. Then another 10. Until I got it to album tempo. And after almost 30 years, after practicing it every day for about a month, I could finally play it. I'll never sound like Jeff Porcaro, but at least I can play the notes! Search for Jeff Porcaro Rosanna on YouTube. I watched his explanation about 10 times before I even attempted it! He makes it looks so easy. Keith Homel (pronounced HOE-mel) is a Chicago-based professional drummer. You can reach him at @KHomel, or through his website by clicking the button below. 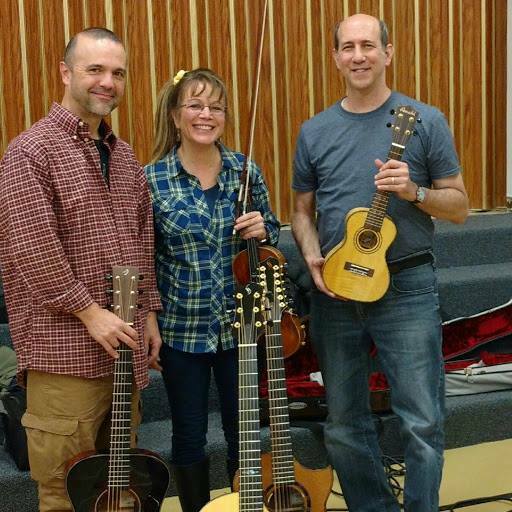 Neal Hellman, Mountain Dulcimer Player and Music Producer, advises amateurs and beginners. Do you think of yourself as a music producer who plays the dulcimer, or as a dulcimer player who happens to produce music? I was a dulcimer player first, but to me it’s all the same thing. I got into music production because I did my own album, Oktober County first, and then then some musicians on it said they had projects and asked my help. Once we created Simple Gifts we sold 100, 000 copies, an unheard-of amount for Shaker Music, and it grew from there. I guess, though, I see myself as a mountain dulcimer player at heart. What do you know about playing the dulcimer now that you wished you had known as a beginner? Forty years ago, when I started, I didn’t know the nuances of the instrument. As I got older and a little smarter I started listening more. I learned to appreciate a different aesthetic from it than when I was younger. Nowadays I want to go where the instrument goes, where it sounds good. I want the tone of the instrument to be the guide. The beauty of the mountain dulcimer is that it’s a drone-y old instrument. I like to make it sound pretty, make it sound glorious. I have ten dulcimers, and each one has a personality to me. Every dulcimer has a sweet spot. Really try to listen for it. These days I focus on pick angle, where I’m going to strum, how far from the bridge I will play. (I change my strumming pattern at least three times in a given song.) My arrangements are less busy and more in tune with the instrument now. You don’t have to be a great player like Stephen Seifert or Aaron O’Rourke to work this instrument. Even beginners can start to think along these lines. As you travel all over the country doing workshops and run a yearly festival in Santa Cruz, what have you learned about dulcimer people? What is it about the mountain dulcimer that people find so appealing? Its an odd instrument; it’s not like a ukulele or a banjo. It can play just about anything you’re interested in. Dulcimer people like to play swing music or old-time music. One of the members of our festival likes to do Patsy Cline songs. Dulcimers are almost like a cult thing: people who are into it are really into it. People like the drone quality. In your opinion, what are some basic skills that could help beginners grow their skills while they play songs for fun? Ask yourself: are you playing the same fiddle tune over and over the same way? I’ll spend hours on a new tune just to make it texturally interesting and fun. Like Merrily Kiss the Quakers Wife. How do you make it interesting and fun? Listen to the instrument and try to vary the pressure you play on it. If you play strong cords first, then go easy on the melody. Work on the dynamics of the song to make it more interesting. So many people put the same pressure throughout the song. Find different spots on the instrument and how the sound varies. Change the dynamics. Experiment. It’s not an advanced skill; a beginner can learn to be aware and make the sound vary. Practice for different sounds, textures and colors. A dulcimer is really good for spoken word, too because it sounds really old. I wrote music to play while I read a poem by Mary Oliver, Sleeping in the Forest and a Billy Collins poem, The Dead. I mix up songs in sets. I will do anything that sounds good on the instrument. I write my tunes to go with the personality and the tonal qualities of the instrument. That’s why I like the early Italian music; it just fits. Pieces from the 18th century. It’s perfect for the dulcimer. If a dulcimer player approaches a tab that appears to be too difficult but really wants to learn to play the song, can you suggest strategies for getting started on it? What I do, I learn it bar by bar, phrase by phrase. Keep the new melody in your mind; almost every melody is online, so that will help you. When I teach, I sing the fret numbers to the melody of the song. The key is to not rush when people are learning a new song. Go nice and easy and build slowly. Don’t be afraid to fail or if you make a bad sound. And play. Growing up, I was fortunate to have orchestra class in public school. My school music teacher would tell me “these are the big ones and those are the little ones”, meaning, don’t worry about every note when you play. Just worry about the big ones, the important notes. “Just get the big ones, and the little ones find their way”. Think about it this way: when we jump rope, we don’t worry about the jump—just the landing, and it all comes together. The mirror tells the truth: Am I bowing straight? And how can I hold the bow and pull the stroke so it doesn’t scissor (meaning get sideways)? You can’t get that kind of information from just looking down the neck of the violin; your eyes are too close to it. Use the mirror! The bad sounds are an opportunity to make corrections. Figure out what causes them; don’t wince and give up. Instead, ask, “What causes that?” and work on it. Instead of getting mad at yourself and beating yourself up, stop, look, and try to figure out what you did to make the wrong sound happen. Scales and arpeggios are essential components of all the tunes you play (no matter what style of music you play). Think of a scale as a sound ladder going up and down “stepwise”. An arpeggio is like a “broken chord” that has “leaps”. Get familiar with the sound of these. Put your left hand on those notes of a scale or arpeggio like a hovercraft in a basic frame shape over the neck, and they’ll be there for you when you play that tune. The left hand needs to get comfortable up on top of those notes. The fingers—what I call the “notemakers”—have to be there for the bow (or the pick), which is the “soundmaker”. That’s a universal skill for fiddle, dulcimer, mandolin and guitar. You have to practice slowly. You don’t want rush when you practice. Rushing is not better. Go from beginning to end, one speed, keeping a steady beat. Once you have the slower version in control, only then gradually go up in speed keeping steady so you do not practice the bad habit of rushing. This will help you play with others. There’s always that hard part in every tune that needs a little more attention. My advice is to identify the challenging part, what I call “the pit”. Take the pit out of context, and do that difficult phrase five good times in a row. Then, you’ll never fall into the pit when you play that tune. For example: Start your “five times” practice; when you make a mistake the third time, then you start over and play just “the pit” until you can do it five times in a row without a mistake. Professional musicians often don’t have the time to practice the whole tune over and over; instead, they just work on those challenging spots. Then, one can go through the whole tune and not fall into the PIT! A metronome will help you stay on the beat if you need help with rhythm. You should know the tune somewhat before you practice with the metronome, or practice it in smaller sections. When you practice, every musician should think about tone, timing, and being in-tune (intonation), and also the feeling of the type of music it is. Those are the universals across all instruments and genres of music. Every genre of music has its own set of “style rules”, but they all start with fundamentals. If the tune on the page is in 4/4 time, they use their foot wrong by tapping their foot four times per measure to keep the beat. They’ve done that for thirty years, so it’s an ingrained habit. You can’t naturally swing with stomping your foot four times per measure. Try two stomps per measure, and you’ll feel the difference. If you stomp four times per measure, you lock up your body into playing like a robot. We are always too busy. Find pockets of five or ten minutes. Put the laundry in and play until the buzzer goes off. Then play again while waiting for the dryer. Same deal with something in the oven, or waiting for that friend who said they’ll call you back in five minutes. Those five minutes add up. I asked an adult student how she was improving so fast. She said that she practices mandolin in the stands at her kids’ baseball practice and practices fiddle while in the car line picking the kids up at their school. Atta girl! When I started playing in front of people, I learned that I had stage fright. One day I got so mad at myself about it that I knew I had to do something. Over time, I got over it by thinking about where stage fright comes from. I learned that adrenaline fuels stage fright, so I converted that idea to a positive. Adrenaline is powerful. I turned that nervous stuff around and said to myself, "God gave me that adrenaline to turn into good music!" I stopped worrying about trying to play perfectly but, rather, to play like I care. The reason we get nervous is because it means something to us! God loves us the same on our worst day as our best day, and we have the gift of music and the gift of adrenaline! So, I started playing at nursing homes. I cannot think of a better way to practice in front of an audience. Get out there and play for those people. If you smile when you walk in the door, you’ve got them on your side. They don’t care about your mistakes, they’re just happy you’re there for them. You will be playing with more feeling than ever before! I had to practice converting nervous energy into good use! I had to train my mind to a different direction. Listening Skills. Listening is hearing with intent to understand. It is a discipline that requires patience and focus. Listening is perhaps the most important skill a musician can acquire. The more you develop your listening skills, the better you will understand music and the better will play, both solo and with others. Equally import perhaps, if you listen well you will win the respect of industry professionals. In the decades that I’ve been working with music my listening skills have developed significantly. I now hear the same music I liked years ago, but in whole new way. I understand it better and enjoy it more. Andy Crowdy, who has kindly played bass on several of my albums, is probably the best musician I know. He’s also the best listener I know - it’s no coincidence. Watch and listen carefully to players you admire – their concerts, recordings and online videos. Watching virtuosos performing at the top of their game may seem daunting. But a presupposition (principle) of NLP (Neuro Linguistic Programming) is that if one person can do something, others can learn to do it. Best Practice. Learn to do things the correct way, even if you deviate from it for stylistic reasons. Learning best practice techniques for playing at the start will save you adopting bad habits, which can be very difficult to un-learn later on. To give but one example: starting to play with a poor posture could eventually give you back problems or even be crippling. Learn best practice techniques first and then deviate from them for artistic effect later, if needed. Notation. Whilst not a be-all-and-end-all, learn at least a little about notation. Having you own music notated will pay off huge dividends in the long run. Notation is useful in the studio, in rehearsal and it will help you to learn about music theory and to teach. It can also help your income if others play your music - they are much more likely to do so if it is documented. But don’t rest on your laurels – theory on its own will not make you a great player. Quality Practice. Practice, practice. But don’t play idly. Like listening, it requires patience and focus. Practice in short sessions of less than an hour, take a break and then return – you need to keep your concentration high. Enjoy your Performance. Get into the right mindset when performing. You are there to please the audience, not to show off or impress. The late, great guitarist Isaac Guillory once told me: “no one’s going to know you’ve got limitations until you exceed them”. So play pieces that are comfortably within your skill set, play them beautifully and the audience will love your music. Smile, smile, smile. This releases hormones called endorphins, which will help you stay on top of things and be in a positive state of mind. Guillory also told me: “no one’s going to have a good time watching someone who isn’t enjoying themselves”. Strive for excellence (in rehearsal), not perfection (in performance). For one thing, there’s no such thing as perfection. Secondly, you are more likely to achieve it by not trying. Lastly, you’ll only make yourself unhappy by striving (in vain) for perfection. Be Original. Stay true to yourself and allow your style to develop, unhindered by popular opinion. By all means compromise in collaborations, but allow your own music to be original and different, even if others don’t like it at first. Until you become recognised, people may want you to play the music of popular artists. Later, the same people will probably want you to be unique. The much loved British rock musician David Bowie did not achieve his success by being conventional. Don’t try and second guess what audiences will like – they will probably want you to be sincere - so be true to yourself. Be Open Minded. All music is good music and has something to teach us. Broaden your horizons, listen to the widest variety of music possible. Enjoy it all and learn a little about it. This will not only help you develop your own technique and style but it will help you to relate to other musicians and them to you – thus creating opportunities for collaborations. I was born in the fifties and a kid in the sixties and a teenager in the seventies. Music was everywhere. Elvis, Chuck Berry, the Beatles. In ‘66, the British Invasion happened, so it was easy to hear a lot of good music. My dad and his family were musical, and we were allowed to watch Ed Sullivan and many other shows that featured singing acts. I grew up immersed in music. I got my first guitar at when I was ten. Dad wrote down the lyrics and three chords for “My Bonnie Lies Over the Ocean” and sent me off to learn it. You had to work for it back in those days. If you wanted to learn how to play a popular song, you had to go to the store and buy a record and figure out what they were saying musically. You had to work at it; that’s what made us sharp players. It honed our abilities. I was the quiet kid in a house full of kids. So, I was usually in my room next to a record player trying to practice. I looked to grown up guitar players like Jimmy Hendricks to learn. I believe certain people are born with music in them, but if you have the patience and the gumption, there are certain instruments that anybody can learn to play. The piano and the mountain dulcimer are one of those instruments. That’s why people in Appalachia play the dulcimer. It’s easy to start playing it. I used to have a music store in Franklin, Ky., and taught lessons. The best advice I gave to my students was practice every chance you get, and do your homework. Take it seriously, take it home, and work on it. Have a piece smooth by the next time I see you. The natural musicians, you don’t have to tell them to practice because they’re going to do it. It’s all about loving the practice. It’s like anything else; like playing a sport. The more you practice, the better you get. Whatever chord is giving you the hardest trouble, start with that. Face it! For example, F is a particular hard chord when you start learning to play guitar. So, when you practice, start with it, it’s going to make you better. Like in basketball, let’s say you’re bad at foul shots. Your coach will make you start with foul shots, so you get better. I’m from the old days, but that hard work still applies. The musicians today are really good and really talented. But, if you don’t put the time into it, it’s not going to happen. I’m 61, and I still practice every day. Today, for example, I’m charting out some new songs for our church. I’m also fixin’ to do a hard rock and roll gig soon, a country song-writing session and then my church music. I treat my church music like it’s a performance. It’s always really tight. I’m proud of our choir. What does music do for me? I’ve been immersed in music in my entire life. It’s a gift from God. Music is something that makes you feel good, and it’s something you can go inside and hide in to get through sadness, death, or troubles. When you get together to play with other gifted musicians, it’s like a conversation without words. Of all things on this earth besides my children and grandchildren, I value music in my life the most. 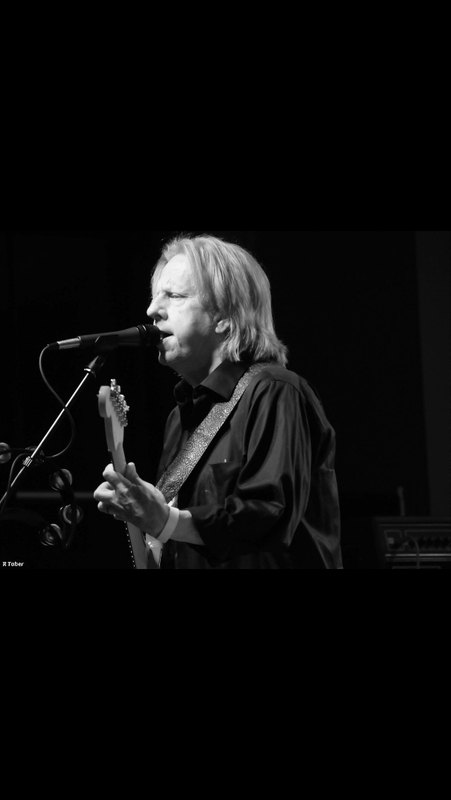 Tommy Johnson has been a professional guitarist and singer/songwriter since the 1970’s. He played with the Dixie Line Band for many years. Currently he is the Musical Director at the Franklin Community Church in Franklin, Ky and continues to perform in public.